Performance, utility and versatility: The Fuji Jari Steel 2.5 2018 delivers them all. Designed to take on gravel races, light touring, bikepacking or pretty much whatever you can throw at it, the Jari is a chameleon that seamlessly changes into whatever you need it to be. Long, slack geometry provides a stable and confidence-inspiring ride no matter what the terrain allowing you to comfortably grind gravel all day long. Remember the journey is the best part of the trip and the Jari is the perfect traveling partner. The SE Lager 2018 packs a quality punch with a butted top tube and down tube, Cr-Mo seat tube, alloy cranks, and super smooth Freedom ThickSlick tires. And new this year, the bike comes equipped not only with riser bars, but also with alloy bullhorn bars. The ideal machine to conquer urban streets, the Fuji Declaration 2018 comes with slightly less aggressive geometry than a track-style frame, and offers the ability to ride fixed or free. Known for versatility, the Fuji Absolute 2.3 2018 geometry strikes a balance between speed and comfort, making it ideal for the fitness-minded rider, or the urbanite looking to ride to work or run errands. With an aluminum frame and carbon fork featuring the same comfort-oriented tube shape designs developed for every model in the VR line, the Felt VR60 2018 is ready for any adventure. And with a value-laden component selection that doesn’t compromise performance, including the newest Shimano Claris drivetrain for impeccable shifting, the VR60 empowers each and every rider with sub-compact gearing for conquering any climb on any road. 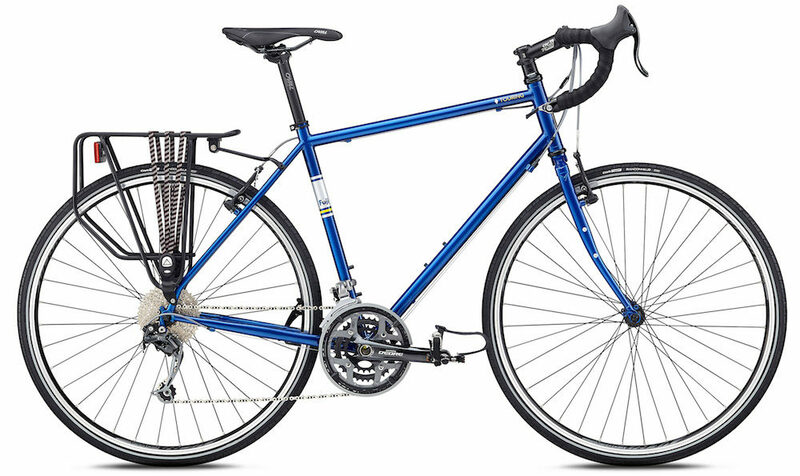 The Fuji Touring 2018 is a classic steel touring bike. Its geometry is perfect for multiple long days in the saddle carrying a heavy load to your destination. If you’re looking for a reliable and comfortable workhorse of a bike that can take you cross country, across your state or across town the Touring is the bike for you. Everyday bicycle commuting often requires you to bring all the essential tools and gear to keep from being stranded in the middle of the city. Designed to employ the unused space in your fame, The Topeak MidLoader carries many of the everyday essentials that a daily commuter may not want to carry on their back. Constructed of lightweight, highly water resistant and durable materials, it mounts and removes quickly with hook and loop fasteners. Two water resistant zippered openings provide easy access to all your gear from either side. Combining safety and function with a minimal impact on that precious handlebar real-estate, the USB rechargable Blackburn 2'fer light set is a great option to light up the night. 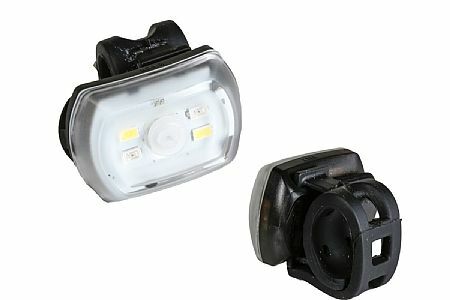 Each of the lights in this pair are capable of running as a 60 lumen headlight as well as a 20 lumen rear. Utilizing an increasingly common and versatile silicone mounting strap these lights are easy to throw on or take off almost anywhere you've got extra space for a light. The convenience of being able to swap these lights from bike to bike as well as front to back makes these an invaluable addition to your illuminating collection. Come on in and check out all our Blackburn lighting options. Use as a wallet to slide into Jersey or mount phone on bike. Sealed, nearly waterproof case made of urethane protects your phone from the weather and sweat. Clear window allows device visibility and operation (can talk on phone while in DriKASE).. 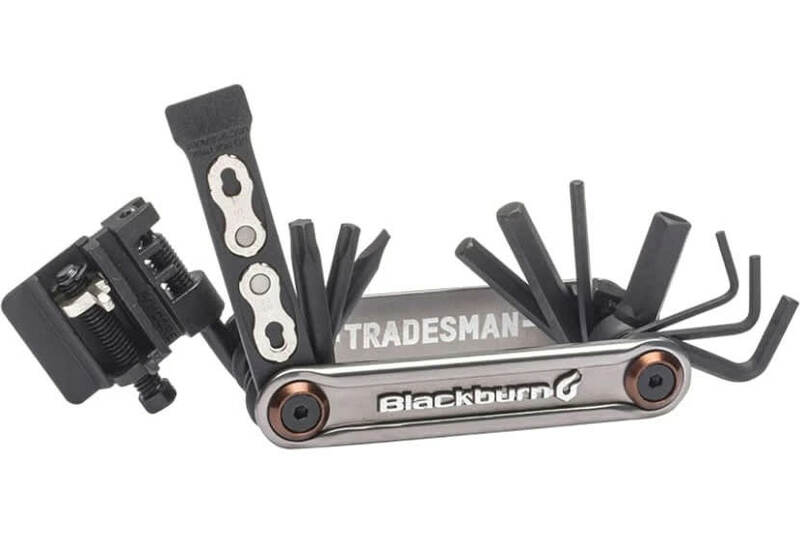 Mounts easily & securely to stem or handlebars. Removable mounting strap so you can use while you are not biking. Removable pad so will accommodate big and small phones. Will work with iPhones (TM) in or not in a case and Samsung Galaxy 3 (TM), among others. See through the back window for camera accessibility.